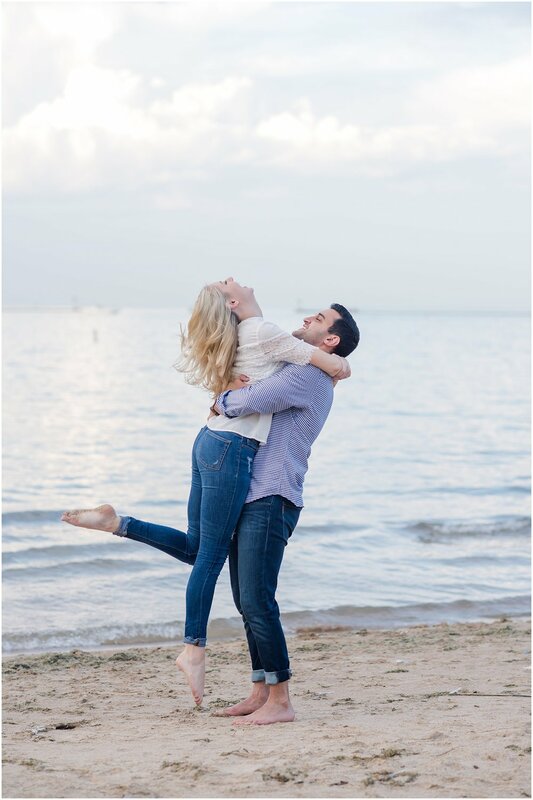 Alison & JT's Engagement Session | The Dancin' Fools — T.O.A.D. 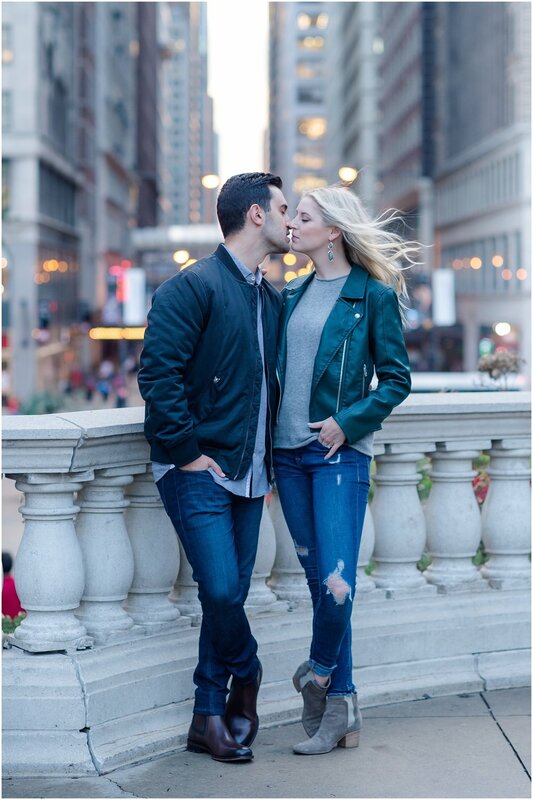 The first time we tried to shoot Alison & JT’s engagement session, Jamie and I drove all the way to Chicago just to get rained out. Super bummed we drove back home and were hoping for a nice day coming up. A while later we came up with a date and just as we got to Chicago that day it starts to rain a little. Oh no, not again! After a few minutes of being a bit worried it stopped. 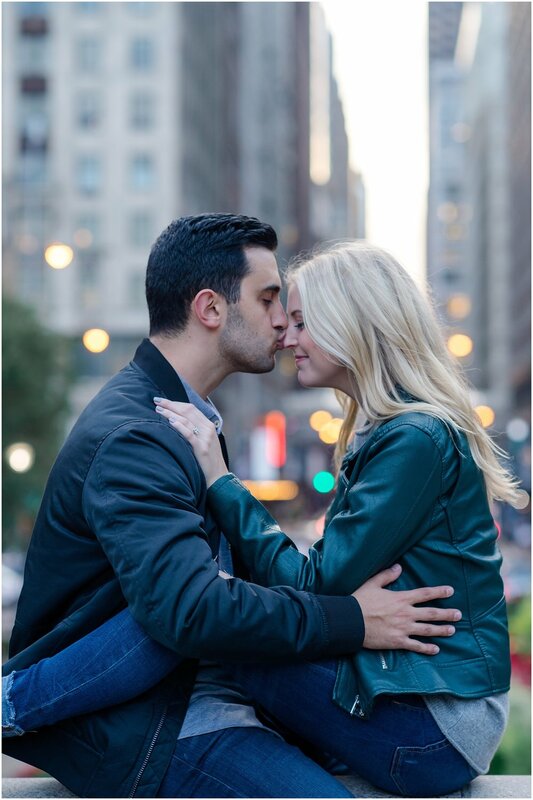 We had such a fun evening capturing Alison & JT dancing and kissing through Chicago until it got dark out! We met nearly six years ago our freshman year at Purdue University! We were meeting some mutual friends at one of the dining courts for dinner and had an instant connection. We tried to just be friends but it clearly didn't work! I (JT) had planned dinner that day to celebrate our five year anniversary together! Ali just thought it was going to be a normal date night. But when we came back from dinner, Ali's roommate convinced her that we should go up on the deck outside of her apartment building, which overlooks Lake Michigan. When we got up the stairs, there was a trail of rose petals and candles I walked her through that led to the exact spot I proposed. After I got down on one knee, we were both so nervous/shocked that we honestly don't remember what was said, only that she said yes! Afterwards, I surprised Ali again with a party that included all of our closest family and friends. When do you feel most loved by your fiance? : I feel most loved by Al when she constantly puts her needs above mine. She is so others-centered and it has always made me feel very special! 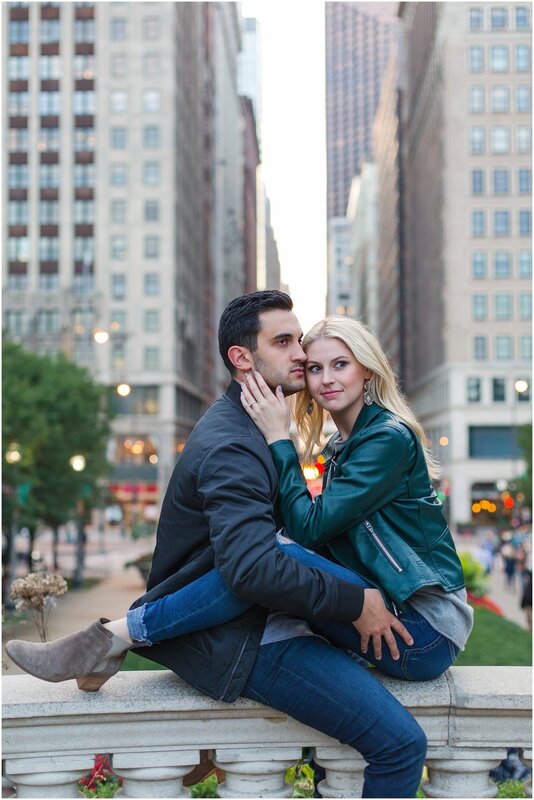 When do you feel most loved by your fiance? : J is super dependable and when he shows up no matter what for the good and bad situations, I feel most loved by him. He is my rock and has always been there for me and the people we love.